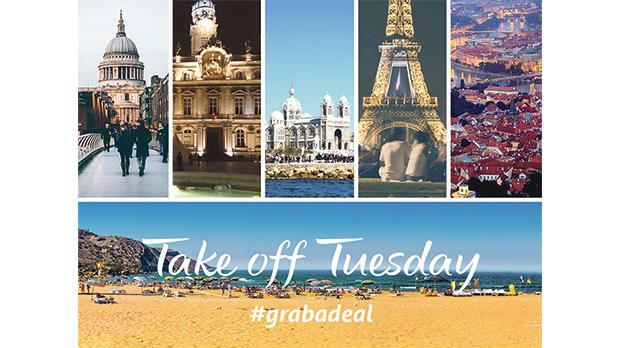 ‘Take-off Tuesday’ is Air Malta’s bargain promotion which offers travellers the chance to grab a deal to some of the airline’s most in demand destinations. Air Malta’s CCO Paul Sies said: “People are used to the occasional promotion when airlines offer seats on flights and periods that are not so popular with clients. The chances that the dates on offer in the promotion would fit the actual needs of the passengers were rather low. The routes and travel period offered are flexible and vary every week. The offer will be a weekly promotion happening every Tuesday running from 2pm until midnight. Last Tuesday, Air Malta offered flights to some of the most popular destination – Lyon, Paris, Prague, Marseille and London at great prices. All fares are inclusive of taxes and any applicable charges. Tickets can be purchased from the airline’s website www.airmalta.com, call centre on 2166 2211 and the airline’s sales office at Malta International Airport.